There are over 10,000 species of ants found worldwide. These social insects live in colonies with one or more queen present. Queens can live up to 15 years while the average lifespan for workers is between 4-7 years. Nests are found underground, in trees, or within structures such as your home. Ants are a common household insect that have been known to transmit diseases such as Salmonellosis and Staphylococcus. 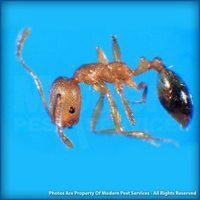 Ants enter a home in search of food and water, feeding on sweets, starches and greasy substances found inside your home. 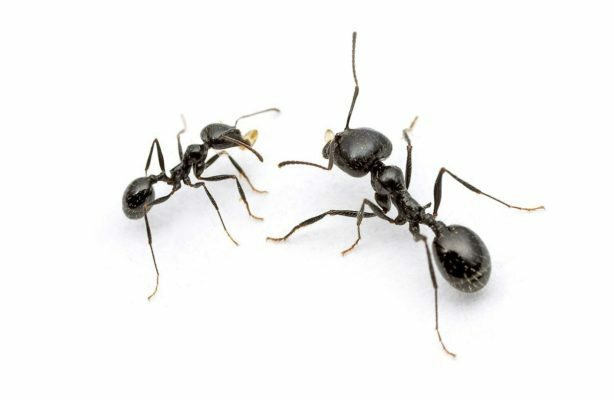 Ants are usually found indoors, along walls, or hiding under baseboards and carpets. Outdoors they are found under decorative landscaping, wood piles, or rocks. 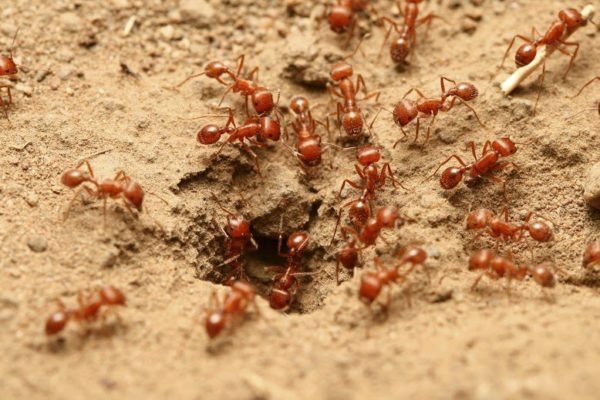 Ants are among the most prevalent pests in households. They are also commonly found in restaurants, hospitals, offices, warehouses, and other buildings where they have access to food and water. 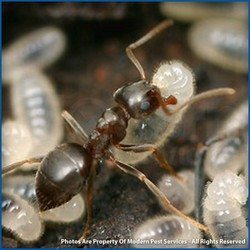 Ants often become a nuisance when they enter our homes searching for food and can even cause severe structural damage when they burrow through decaying wood to nest, which is typical behavior of carpenter ants. 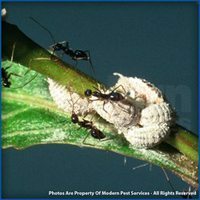 Ant management requires diligent efforts and the combined use of mechanical, cultural, sanitation, and often chemical methods of control. 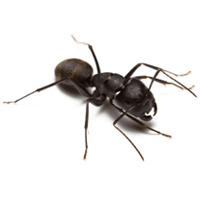 Modern’s HomeCare Green Program provides an effective treatment to ant infestations. 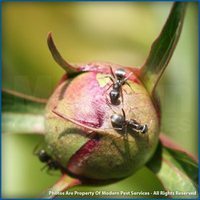 Modern focuses treatments on the interior and exterior areas of the homes and businesses where ants are likely to be working, nesting, or foraging for food. For more information on keeping your home ant free, get a quote today or contact our local pest control specialist!